Today’s date in 1693 is the date traditionally ascribed to Dom Pérignon’s invention of champagne. This has nothing to do with the actual development of champagne – of course – but it’s as good an excuse as any to post about bubbly. The Romans were the first known inhabitants to plant vineyards in the Champagne region. The name Champagne comes from the Latin campania and referred to the similarities between the rolling hills of the province and the Italian countryside of Campania located south of Rome. The area was divided into the Champagne pouilleuse—the chalky, barren plains east of Reims—and Champagne viticole, the forested hillside region known as the Montagne de Reims between Reims and the Marne river where the vines were planted. While vineyards were undoubtedly planted earlier, the first recorded vineyard belonged to St. Remi in the 5th century. For most of the region’s early history, the wines from Champagne were not known as “Champagne” or even vin de Champagne. Rather they were known as vins de Reims and vins de la rivère in reference to the Marne river which provided a vital trade route via the Seine with Paris. Champagne’s location at the crossroads of two major trading routes, one east–west between Paris and the Rhineland and the other north–south between Flanders and Switzerland, brought the region and its wines much prosperity and notoriety but also played a pivotal role in Champagne being the site of countless battles and occupations. During the Middle Ages, the wines of the Champagne region were various shades of light red to pale pink as a strong rivalry developed between the Champenois and their Burgundian neighbors to the south. 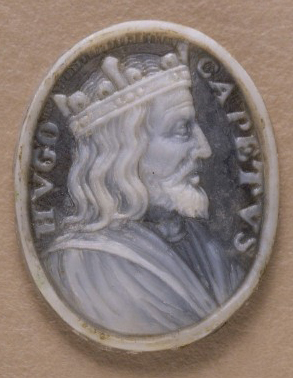 The trade route that Flemish merchants used to get to the Burgundy region went right through Reims and the Champenois were eager to entice their business with a “cheaper” alternative. The climate of the region made it difficult to produce red wines with the richness and color of the Burgundian wines, even though the Champenois tried to “improve” their wines by blending in elderberries. Eventually their attention switched to producing white wines in an attempt to distinguish themselves from the Burgundians. However, the white wine produced from white grapes were found to have a dull flavor and quickly spoiled. The most sought after wines were white wines made from red wine grapes, such as Pinot noir which had more flavor, aromatics, and longevity. Throughout the 16th and early 17th century, Champenois winemakers tried to produce the best white wine they could from red wines grapes though the results were often not white at all but ranged from greyish color to a shade of pink known as oeil de perdrix (partridge eye). It wasn’t until Dom Pierre Pérignon (a Benedictine monk) from the Abbey of Hautvillers perfected his wine-making techniques that the vintners of Champagne could make a truly white wine from red grapes (it has a lot to do with how you treat the skins). Pérignon actually spent the bulk of his experiments trying to get rid of the bubbles in his white wine !!! After being destroyed during the French Wars of Religion, the Benedictine Abbey at Hautvillers was rebuilt and replanted its vineyards. 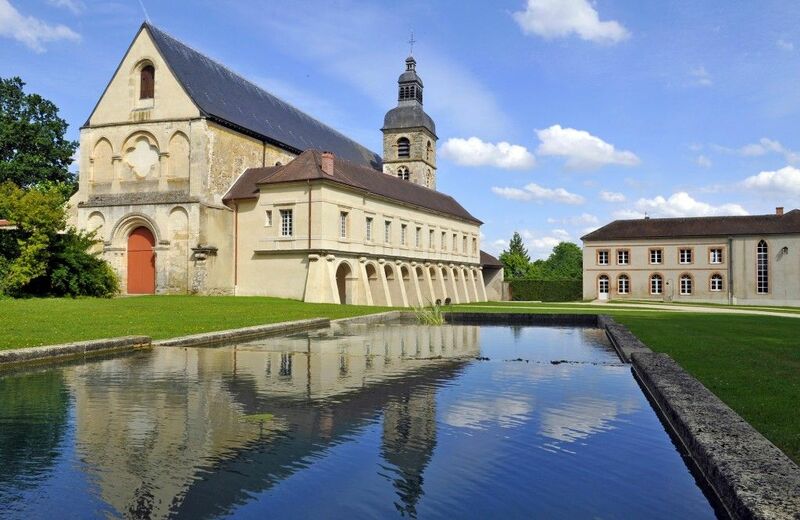 By 1661, the Abbey had 25 acres (10 ha) of vineyards, but was also receiving tithes in the form of grapes from nearby villages, including the highly regarded vineyards of Ay and Avenay-Val-d’Or. The abbot commissioned the construction of a cellar and sought to hire a treasurer and cellar master to help develop the Abbey’s growing winemaking operation. 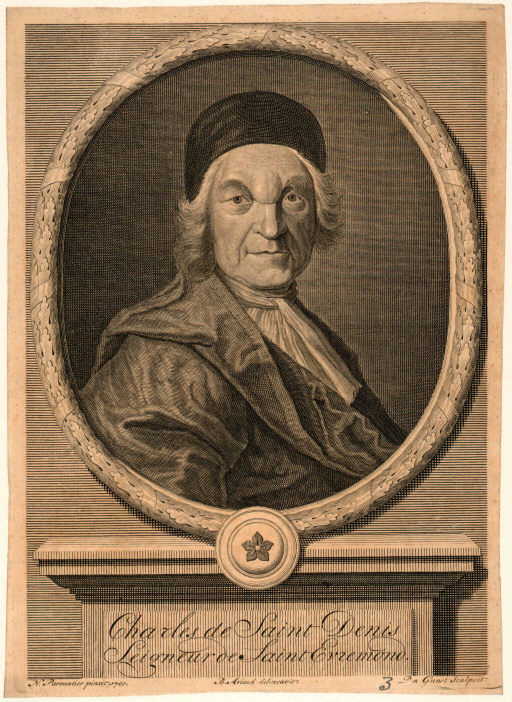 In 1668, Pierre Pérignon was appointed to the position. Pérignon, who was described as a perfectionist, worked tirelessly to improve the viticultural practices of Abbey’s vineyards and the quality of the wines. He was a strong advocate of using only Pinot noir grapes which he believed had the best flavor and potential quality. At the time, the vineyards of the region were planted with a variety of grapes including Pinot noir, Chasselas, Pinot blanc, Pinot gris, Pinot Meunier and perhaps Chardonnay. Most important, in Dom Pérignon’s mind, was that red grapes like Pinot noir were less likely to become “volatile” in the spring and produce bubbles as the white grapes sometimes did. The presence of bubbles in his wines was considered a fault and Dom Pérignon set out to develop precise techniques to limit the likelihood of this fault occurring. Dom Pérignon was a staunch advocate of aggressive pruning, dictating that vines should grow no higher than 1 meter (3 ft) and produce small yields. Harvesting was to be done early in the morning, when it was very cool, and every care was to be taken to keep the grapes intact. Grapes that were bruised or broken were rejected. Mules and donkeys were favored over horses to transport the grapes to the press houses since they were less likely to get excited and possibly damage the grapes. Dom Pérignon desired the grapes to be pressed as quickly and efficiently as possible to minimize the possibility of the grape skins leaching into the juice. A distinction was made between the different levels of pressings. The first press, done completely by the weight of the grapes on top of each other, produced the highest quality wine, known as the vin de goutte. The second and third pressings, done with weight being applied, produced wine of good but not exceptional quality. The fourth and fifth pressings, the vin de taille and vins de pressoir, were of darker colors and therefore were not used at all. In addition to adding the pinkish/grey coloring, Dom Pérignon knew that the skins imparted different flavoring and coarser textures than he did not want in his high quality wines. His emphasis on limiting skin contact made it possible for the Abbey of Hautvillers to produce truly white wine from red wine grapes. While banished to England in 1661, the Marquis de Saint-Évremond did much to popularize Champagne wines in London society. While Saint-Évremond preferred his Champagne to be still, the sparkling version of Champagne became popular with the English also. As a wealthy and powerful nation with limited winemaking resources, England had a marked influence on the development of sparkling Champagne. At parties and banquets, Saint-Évremond promoted the wines of the Champagne region. Soon some of the most powerful and fashionable men of London, such as the Duke of Bedford and the Duke of Buckingham as well as the Earl of Arlington were making regular orders of cases of Champagne. The wine was non-sparkling, or at least it was intended to be. Wine was often transported to England in wooden wine barrels and merchant houses would then bottle the wine for sale. During the 17th century, English glassmakers used coal-fueled ovens and produced stronger, more durable glass bottles than wood-fired French glass. The English also rediscovered the use of cork stoppers, once used by the Romans but forgotten for centuries after the fall of the Western Roman Empire. During the cold winters of the Champagne region, temperatures would drop so low that the fermentation process was prematurely halted, leaving some residual sugar and dormant yeast. When the wine was shipped to and bottled in England, the fermentation process would restart when the weather warmed and the cork-stoppered wine would begin to build pressure from carbon dioxide gas. When the wine was opened, it would be bubbly. The English were among the first who saw the tendency of Champagne to sparkle as a desirable trait, and tried to understand why it bubbled. In 1662, the English scientist Christopher Merret presented a paper detailing how the presence of sugar in a wine led to it eventually sparkling, and that nearly any wine could be made to sparkle by adding sugar to a wine before bottling it. This is one of the first known accounts of understanding the process of sparkling wine and suggests that British merchants were producing “sparkling Champagne” even before the French Champenois were deliberately making it. Concurrently, advances in glass manufacture in Britain, by George Ravenscroft and others, allowed more robust wine bottles to be made which could contain the effervescence without exploding. 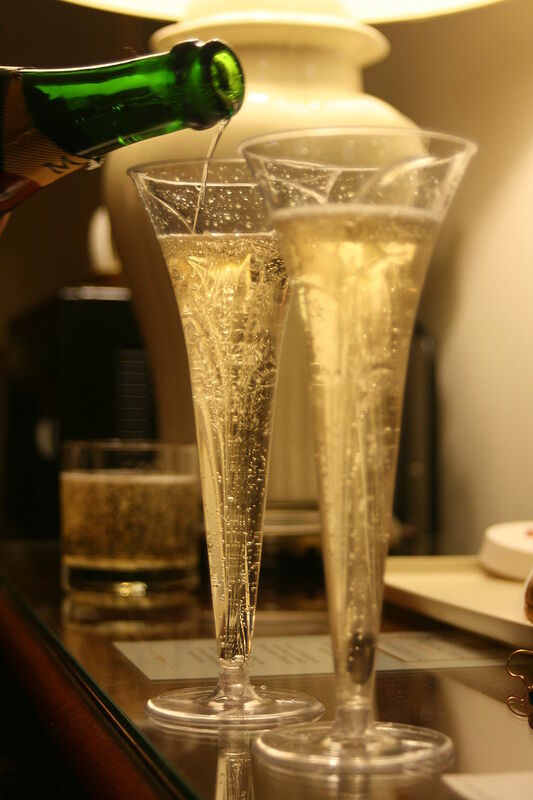 The popularity of sparkling Champagne steadily grew. In 1663, the British poet Samuel Butler wrote the first English reference to “brisk” (i.e. frothy) Champagne in his poem Hudibras. The 1698 George Farquhar play Love and a Bottle featured one of the characters marveling at the steady stream of bubbles in a glass of a Champagne wine. As the popularity of sparkling Champagne grew in London, other European courts began to discover the bubbly curiosity-including the French who had previously despised the bubbles as a wine fault. Champagne and caviar tend to be the pairing most associated with luxury, but if you have traveled in Russia at all, with a heavy purse, you will know the delights of well chilled vodka and caviar. As an Oxford man I was much more inclined towards champagne paired with perfectly ripe strawberries on the river or at a commemoration ball, than with caviar because the tastes seem to me to belong better together. Just as often, I drank champagne on its own – usually as a celebration (such as at the end of finals). 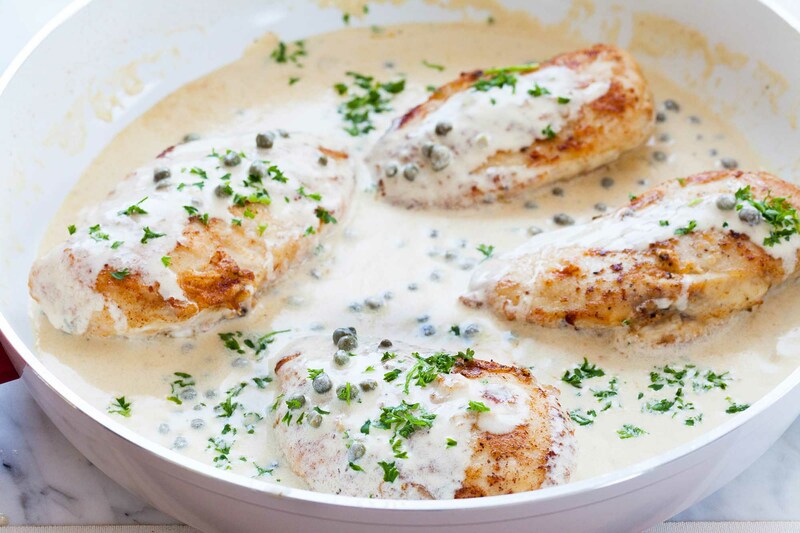 Here’s a recipe for chicken in champagne which I would never have made when I drank alcohol, but now I can countenance it, although I’d be unlikely to want to spend the kind of money it takes to buy the champagne I used to drink, Moët & Chandon brut, for cooking. You must use good wines for cooking, but not that good. The rule is: do not cook with a wine you would not drink. Heat the butter over low heat in a skillet large enough to hold all the chicken pieces in a single layer. When the butter has melted, place the chicken and onions in the skillet with salt and pepper to taste, and simmer (not sauté) for several minutes, turning the chicken pieces several times. Do not let the chicken take on color. Cover and simmer on low heat for 10 minutes. Drink half the bottle of champagne while the chicken is cooking. Sprinkle the flour over the chicken pieces, Cover and simmer for a further 15 minutes, or until the chicken is tender. Remove the chicken with tongs or a slotted spoon, place in a covered oven-proof container and keep warm in a low oven. Reduce the pan juices over a high flame until they are a quarter of the volume. Add the whipping cream and continue to cook, stirring regularly, until reduced by half. Beat the egg yolks with the single cream. Add a few tablespoons of the hot sauce and whisk vigorously. Then pour the egg mixture into the sauce. Simmer over a very low flame until thick and smooth. Do not allow the sauce to boil. Plate up the chicken pieces and pour the hot sauce over them (through a strainer).